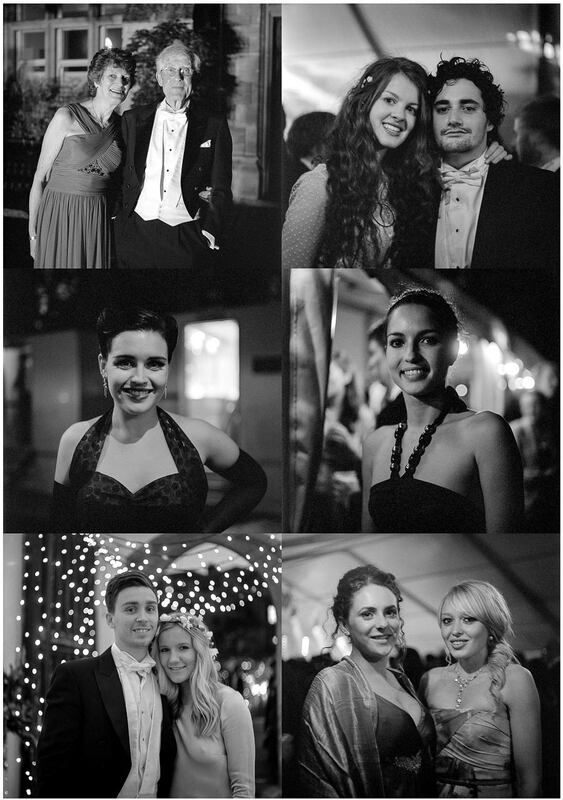 Here are some of my images from the Balliol 750th Commemoration Ball that I made on medium format film. Once the sun had gone down I decided to switch to using only black & white film because I like how classic it looks – with lots of different coloured lights in the evening it can be quite distracting. The live acts in the second grid were King Charles (who were amazing) and Mark Ronson DJing. It was the first time I had photographed a live band with a twin lens reflex camera and although a bit of a challenge it was really good fun. With only 12 frames on a roll you really have to pick your moments carefully. [Tech info:] Mamiya C330f, 80/2.8 lens, loaded with Kodak Tri-X 400 rated at ISO1600. Processed in Kodak HC110 1+31. 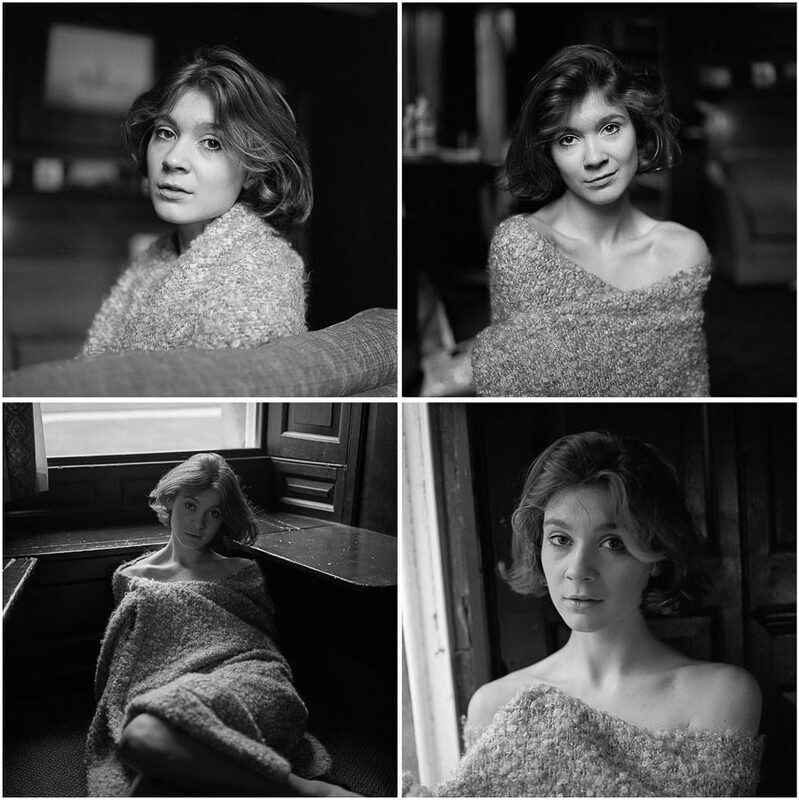 These images are from a photo shoot I had a few weeks ago with Leonore and Cosima. I’ve photographed Leonore a few times for Industry magazine and the Oxford Tab but I’ve wanted to photograph her on film for quite a while. I had originally arranged the shoot with just Cosima but fortunately Leonore was able to come along too and as they’re friends everything worked out. I really enjoyed this photo shoot but as I’m not used to working with two people at once it was a little challenging – in a good way. 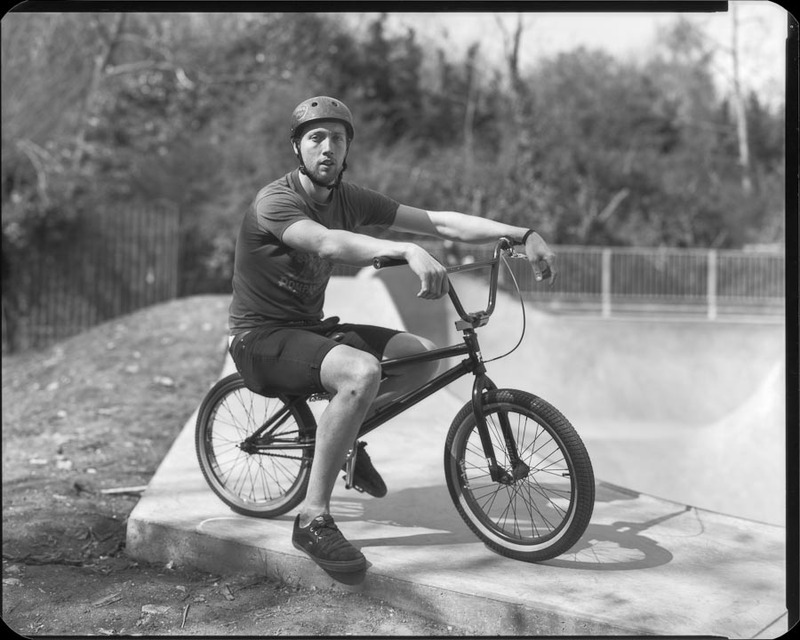 I’ve recently been trying out a new film developer and I decided to put this roll through as a test. So far I really like the results I’m getting. More shots from this shoot will follow at a later time. [Tech info:] Rolleiflex SL66 with 80/2.8 lens, loaded with Kodak Tri-X 400 film (rated at ISO800), processed in Kodak XTOL 1:1 for 8mins. Some film shots of Josh with the amazing elephant costume that he made for a party. Tamsin was called in to keep the elephant under control. 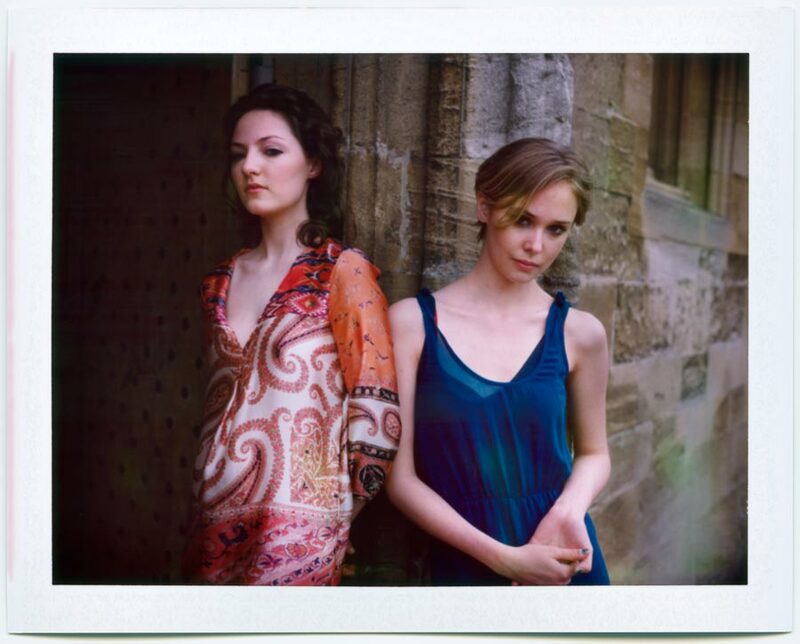 Some Fujiroids from this shoot can be found here. 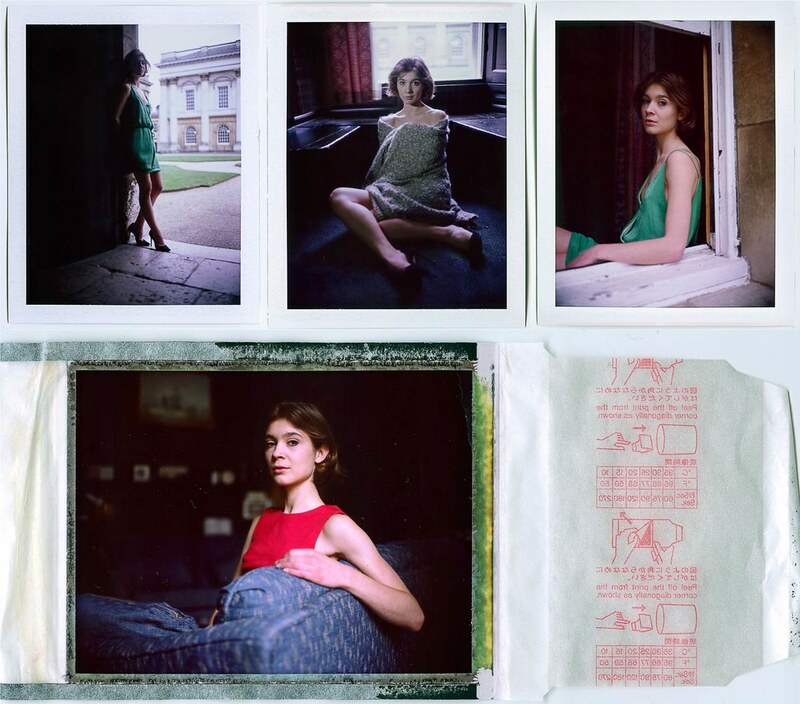 These shots were from the very end of the photo shoot, I used some colour film earlier on but they’re still in my pile of colour rolls to develop so they will follow in the future. I’m trying out a new film developer (Kodak XTOL) and this was one of the first rolls of film that I put through it. So far I am really liking the results. [Tech info:] Mamiya 645 ProTL, 80/f1.9 lens, Kodak Tri-X 400 film developed in Kodak XTOL 1:1 dilution. 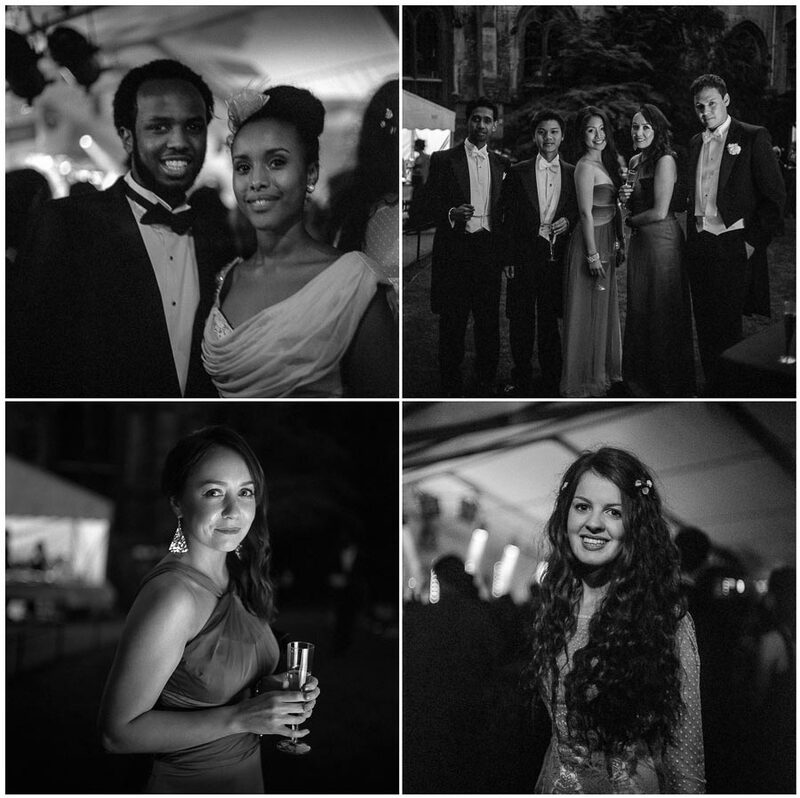 Last week Balliol College held their 750th Commemoration Ball here in Oxford and I was there to photograph the event. The weather was a perfect summers evening with gorgeous light and as a photographer I couldn’t have asked for more. I believe there were somewhere around 1,200 guests in attendance so I kept busy the whole night. While there was still daylight I used colour film and after it got dark I switched to black & white. The colour images will be a while as I try to decide on whether to develop them myself or to send them out to a lab. I have a pile of colour films I need to develop which has been steadily growing over the past 5 months. I’m waiting to order the chemicals necessary to develop them because the 5L kit is good for 100 – 120 rolls and once you start to mix the chemistry it has a shortish shelf life. 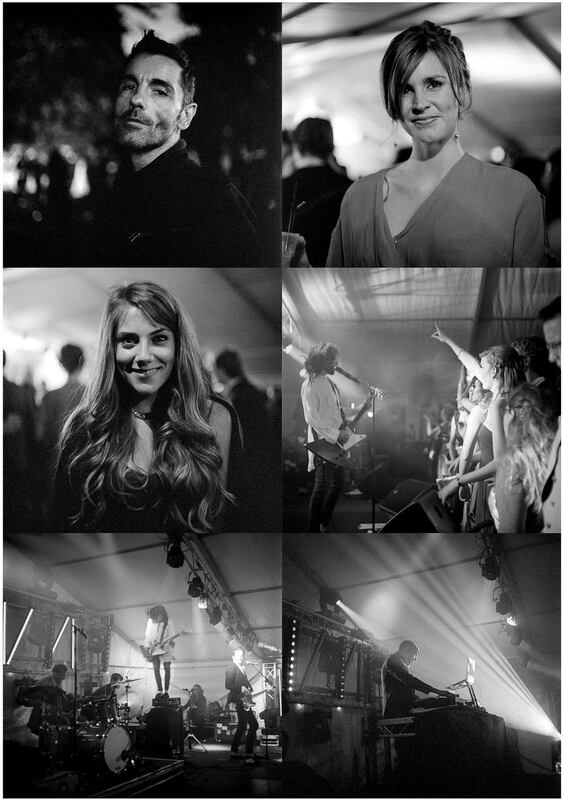 So, here we have a little preview of some of my black & white shots from the evening. The 2012 Balliol Ball last year was the very first Oxford University ball I’ve ever attended and some of the images I made on film that night are my favourites from all of the ball’s I’ve attended so far. It was nice to see some familiar faces at this ball from last year and also to meet some visitors of this blog. Lots more film images still to come but I’ll be drip feeding them because I have so many to post. 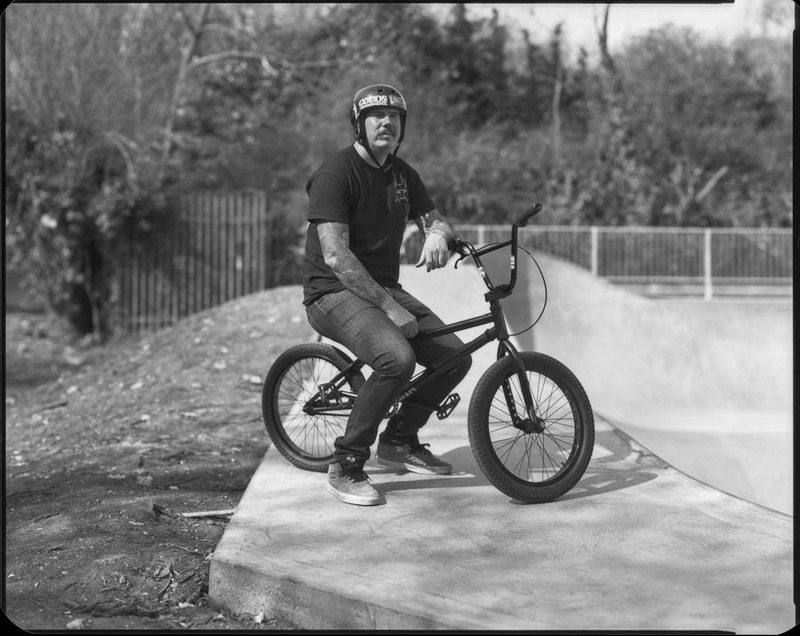 These two portraits were made yesterday at the same skatepark session as the two in the previous post except these were made on 5×4 black & film. The maximum amount of 5×4 sheet film I can develop at the same time is 6 sheets so that’s usually how many I load into film holders at the same time. I had already used 4 sheets from this batch at a shoot I had with Imogen so I only had 2 sheets with me when I decided to go to the skatepark. It’s a shame because the light was nice (when the sun wasn’t behind a cloud) and there was a good crowd there. [Tech info:] Graflex Super D 5×4, Pentac f2.9 @ f4, Ilford Delta 100 processed in Ilford DDX 1+4. 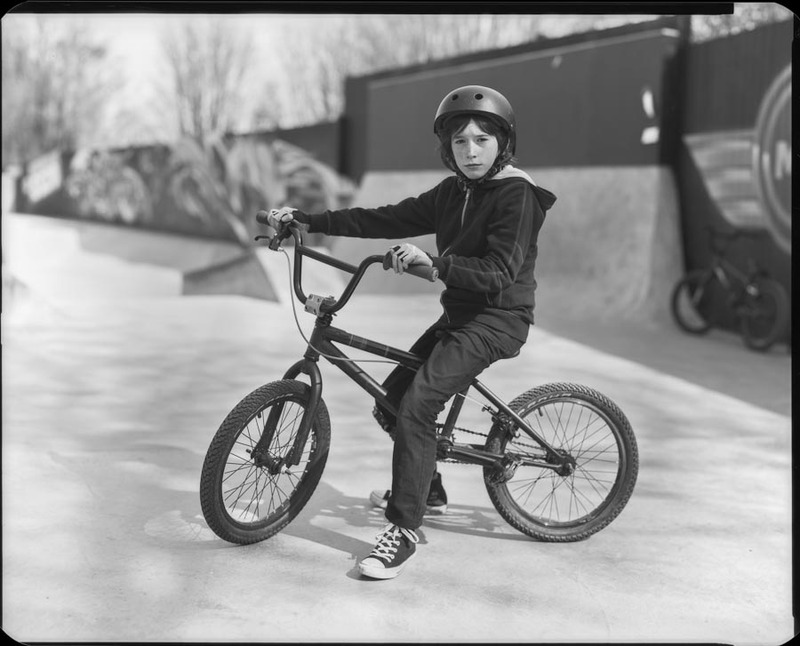 These two portraits were made at my local skatepark today. It was a really fun session and my portrait volunteers did really well to stay still whilst being heckled from their friends. I wanted to test out my Super D camera after I had some focus issues the last time I used it and the good news is I’ve managed to achieve critical focus again with my workaround but the bad news is that I need to use the camera on a tripod to do it. When you’re working with really shallow depth of field it’s always a good idea to mount your camera on a tripod so it’s not the end of the world. I only had two sheets of film with me and these last two shots of Fuji instant pack film. The film shots will follow (I left them drying in the darkroom overnight). [Tech info:] Graflex Super D with Pentac f2.9 lens @ f4. 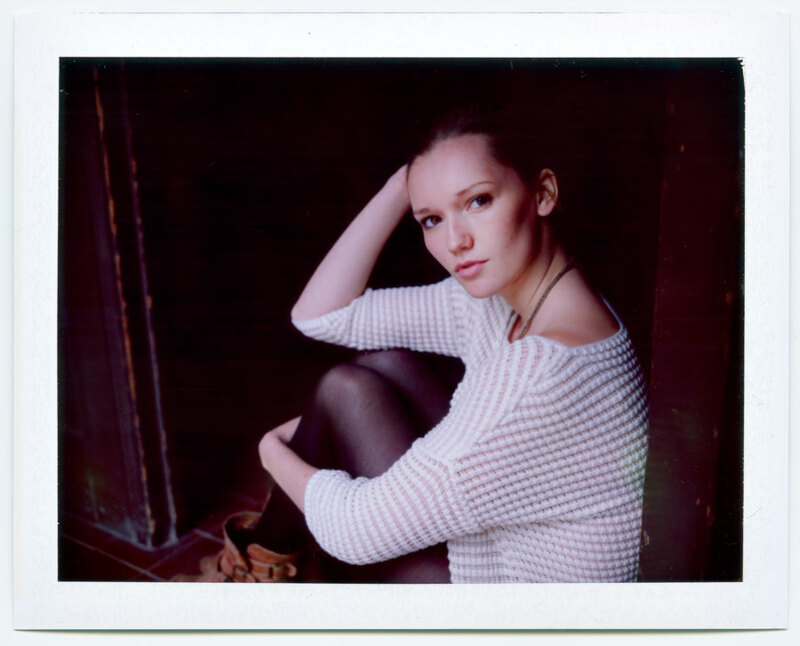 Fuji FP-100C instant pack film. This was a really fun photo shoot that came together yesterday. Josh contacted me to see if I would be interested in photographing this Elephant costume he had made for a party. I was instantly intrigued to see it so of course I said yes. This took him a week to make and it’s mostly made of foam, I was very impressed! Tamsin came to the photo shoot and we all had a lot of fun making pictures. At least I think Josh had fun because this was the hottest and most humid day of the year so far and I was concerned he might keel over from dehydration. (The last shot got a little ruined from the humidity). These are Fujiroids, I did also shoot some film so those shots will follow once I’ve developed them. I’ve built up quite a batch of colour rolls of film to develop from this year so it will be exciting to start developing them soon. 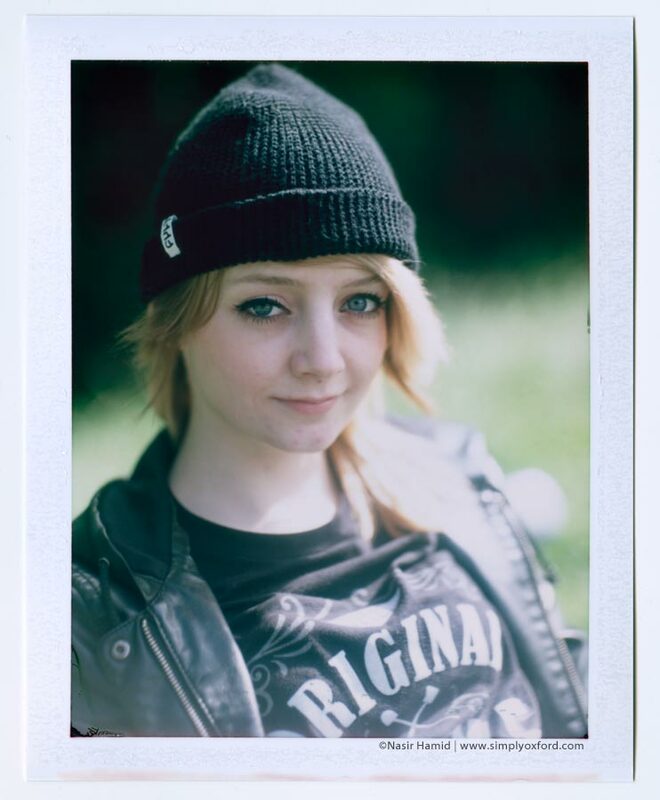 [Tech info:] Mamiya Universal, 100mm/3.5 lens, Fuji FP-100C instant pack film (expired). Whenever possible I take a camera along with me to my photo shoots that is able to shoot some Fuji instant pack film (similar to Polaroid). Here are some from recent photo shoots. I haven’t developed any of the film from these shoots yet so they’ll follow on later. The camera I used for these is a bit of a bulky beast with rangefinder focusing (not my favourite) but when I get it right this camera does deliver. 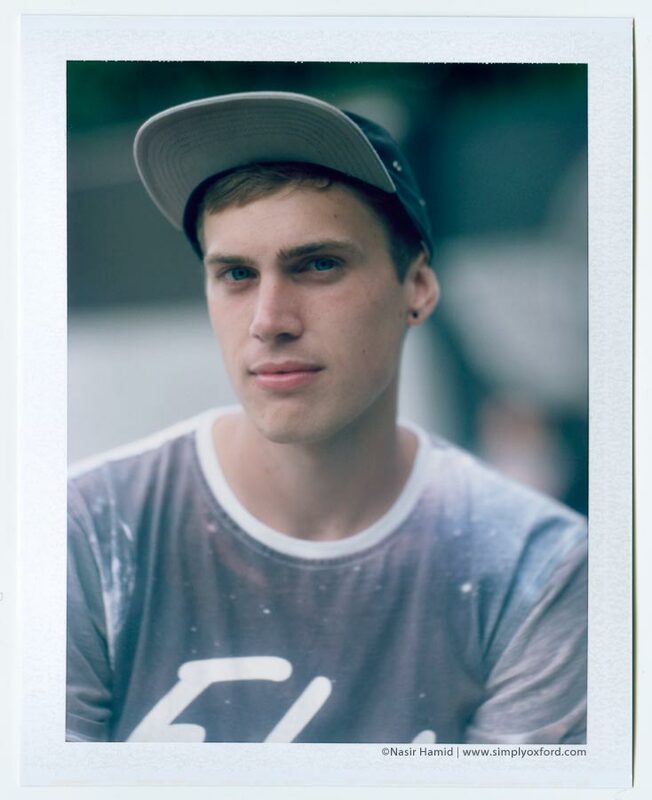 [Tech info:] Mamiya Universal, 100mm/f3.5 lens, Fuji FP-100C instant pack film (expired). 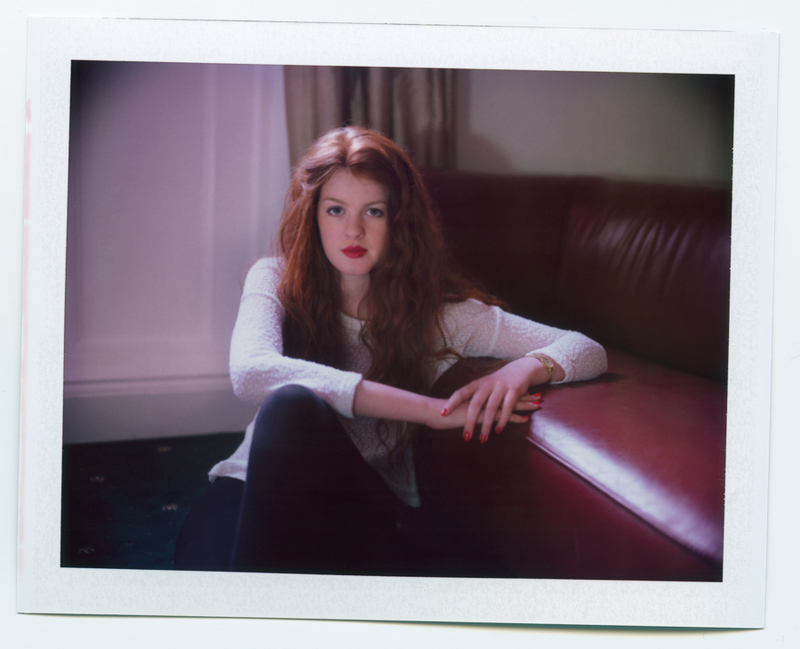 Here are some images from a photo shoot I had with Imogen recently. I took along two cameras that were completely opposite in size, a 5×4 large format SLR (Super D) and a 35mm rangefinder (Yashica Electro). I’m not a fan of rangefinder cameras (despite owning a few) and whenever I use them it’s not a very enjoyable experience mainly because I much prefer to see the viewfinder image go in and out of focus but I do like the results I got from my Yashica in this session. I was keen to try out my Super D with an old lens I had adapted to fit but after the first test Fujiroid I noticed the focus was a little bit off – when the image in the viewfinder was in focus the image in the final print was focused slightly in front of the point that I had focused on. As a result of this I had to do a bit of guess work with the rest of the shots so they’re not as sharply focussed as I wanted. Later when I got home I figured out the problem is that the mirror doesn’t rest as low as it should so now I have to manually twist and hold a lever to push the mirror down while I am focussing. It’s a bit of a faff so I need to find an alternate method. [Tech info:] Graflex Super D 5×4, Pentac f2.9 lens @ f4, Ilford FP4 film processed in Kodak HC110 1+31. Yashica Electro 35 loaded with Kodak TMAX 400, processed in Kodak HC110 1+31. These images are all from my first photo shoot with Tamsin which went extremely well and was very enjoyable. I’ve wanted to shoot with Tamsin for a while but timings and weather never seemed to work out so I was pleased that we were able to arrange this shoot before the end of the academic year and the summer break. 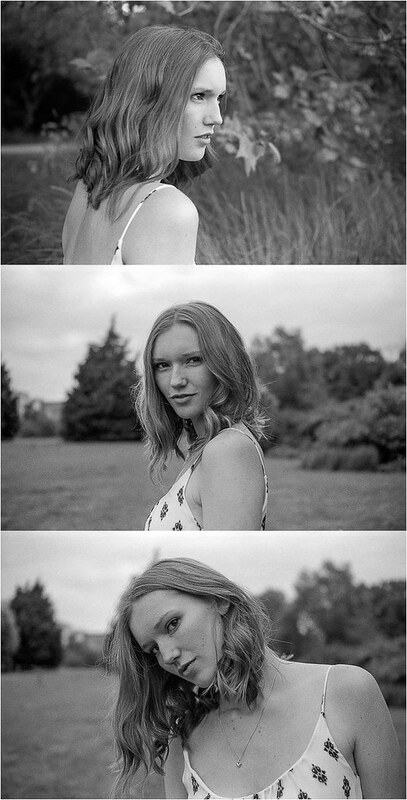 For this shoot I took along three different cameras, these shots are from two of them (medium format Rolleiflex 6×6 and 35mm Nikon), the other was a Mamiya Universal that I used to shoot some Fuji instant pack film, those shots can be found here. This shoot went so well that I managed to finish a few different rolls of film – I don’t usually have enough time to finish more than one or two. The others haven’t been developed yet so those shots will follow at a later time. [Tech info:] Rolleiflex SL66, 80mm/2.8 Zeiss lens, loaded with Kodak Tri-X 400, processed in Kodak HC110 1+31 for 7:30. And a Nikon FM2, 50mm/1.4D lens, loaded with Kodak TMAX 400, processed in Kodak HC110 1+31 for 5:30. 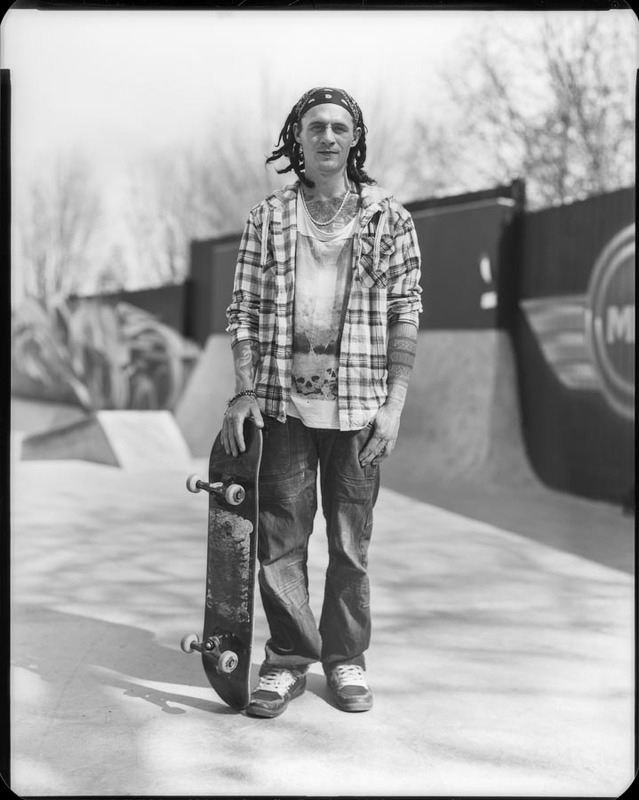 This is the second batch of portraits that I made back in April at the Meadow Lane skatepark. 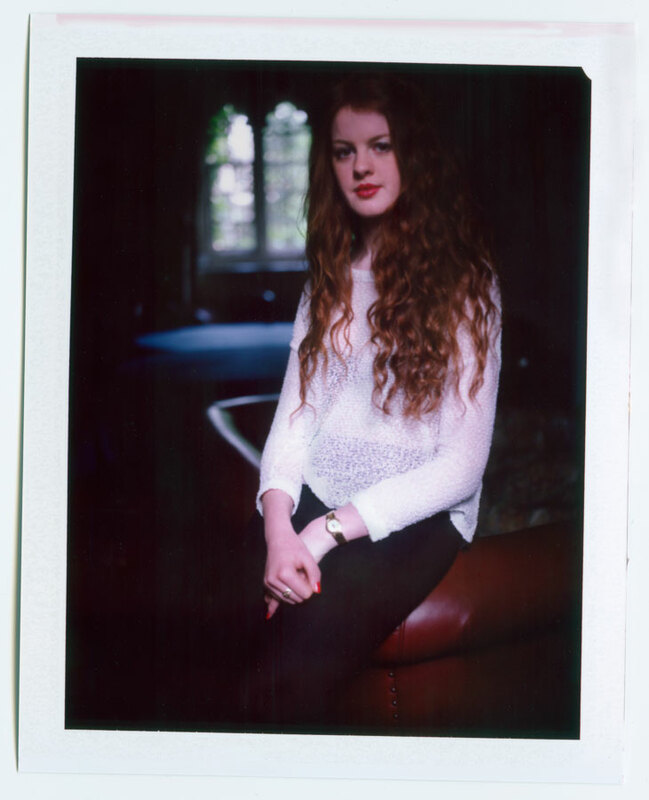 It was a great session and I made a total of eight portraits (that’s all the film I had with me). The first batch can be seen here. I really enjoy using 10×8 but unfortunately the camera and lens alone are a bit too heavy for me to safely cycle with on my back, not to mention the tripod and film holders I need to carry as well. This limits my usage and how far I can travel with it which is a shame because there are so many images I’d love to make with this size of film. I really like how these have turned out and I hope to make some more during the summer if time permits. [Tech info:] Wista 10×8, 300mm Sinaron lens, green sensitive x-ray film, ISO50, processed in Rodinal 1+50 for 6mins. 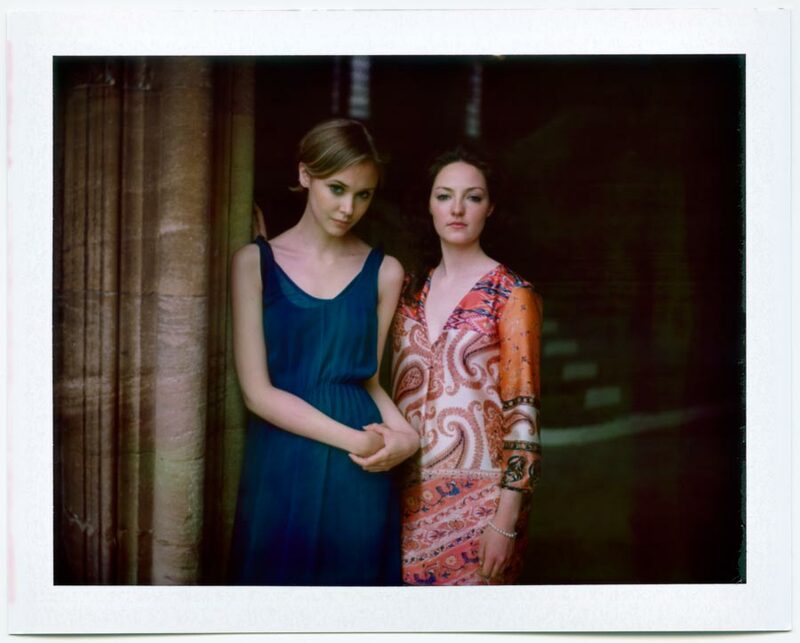 These Fujiroids are from my first photo shoot with Tamsin. I also shot some regular film and those images will follow after I develop them. It was a really fun shoot and I hope to do some more with Tamsin if time and weather permits before the University summer break. Regular visitors to this blog may recognise the location, I’ve used it quite a few times because I really like the big windows and the quality of light inside. [Tech info:] Mamiya Universal, 100mm / f3.5 lens, loaded with Fuji FP-100C instant pack film (expired).